Bacri was born in Paris. His musical career began with piano lessons at the age of seven, and continued with the study of harmony, counterpoint, analysis and composition as a teenager with Françoise Gangloff-Levéchin and Christian Manen and, after 1979, Louis Saguer. He then entered the Conservatoire de Paris where he studied with a number of composers including Claude Ballif, Marius Constant, Serge Nigg, and Michel Philippot. After graduating in 1983 with a premier prix in composition, he attended the French Academy in Rome. Back in Paris, he worked for four years (1987–91) as head of chamber music for Radio France. 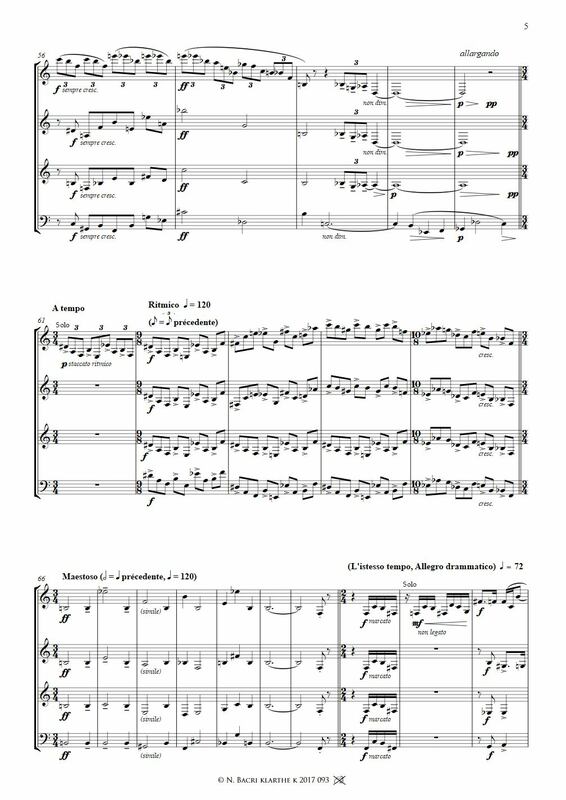 organising the very first performance in France of the complete 15 string quartets cycle by Shostakovich (1989-90 season with the Manhattan String Quartet) and featured for the first time in France the major composers of Terezin : Pavel Haas, Gideon Klein, Hans Krasa and Viktor Ullmann. Since then he has concentrated on free-lance composing, receiving commissions from major institutions and festivals around the world, being briefly teaching orchestration in Geneva Conservatory (HEM/HES) from 2005 to 2011, and doing masterclasses of composition. He is teaching composition at CRR of Paris (Conservatoire à Rayonnement Régional de Paris) since october 2017. Bacri's Symphony No. 6, Op. 60, was a finalist in the 2003 Masterprize international composing competition. Bacri made his debut as conductor with the London Symphony Orchestra conducting the world premiere of his opus 130 titled A Day (Four Images for Orchestra) at L'Opéra of the Palace of Versailles in Paris on 8 September 2013. It has been recorded at the Abbey Road Studios for a planned future release. 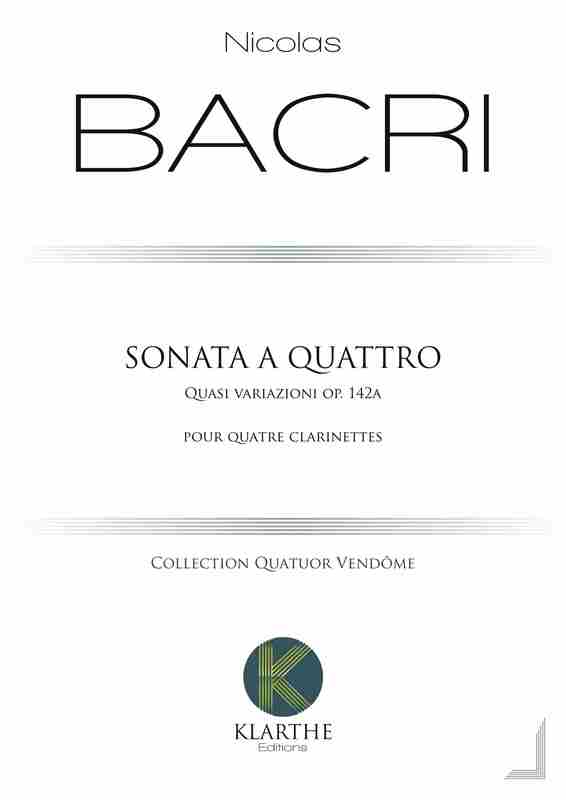 Sonata a quattro recorded by Quatuor Vendôme.